Nonlinear wave propagation are studied on the basis of the mathematical method of characteristic and illustrated on simple examples. On this basis, the phenomenon of “wave breaking” is presented and it is shown how viscosity and/or dispersion regularizes the phenomenon and underlies the theory of shock waves. The theory of weak shock waves is presented on the basis of the Burgers equation, which allows for a complete analysis. 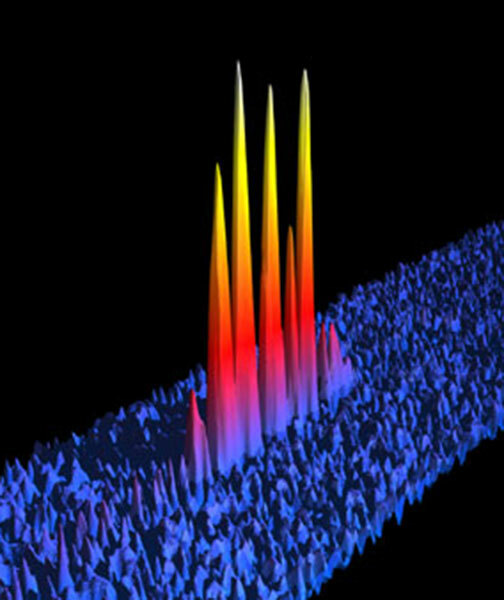 The balance between nonlinearity and dispersion provides the basis for introducing the fundamental concept of soliton. The basic properties of solitons is studied in the framework of the theory of the Korteweg-de Vries equation. The universality of this equation is clarified. The concept of topological soliton is also illustrated by the Sine-Gordon equation. A similar universal role is revealed for the nonlinear Schrödinger equation. The physics of the Bose-Einstein condensation of ultracold vapors is the opportunity to study specific aspects of the mathematical physics of solitons in a modern experimental setting. Other examples are discussed, such as the physics of conducting polymers and of magnetic chains. Linear and nonlinear waves, G. B. Whitham, Wiley-Blackwell. Physique des solitons, M. Peyrard & T. Dauxois, EDP sciences. 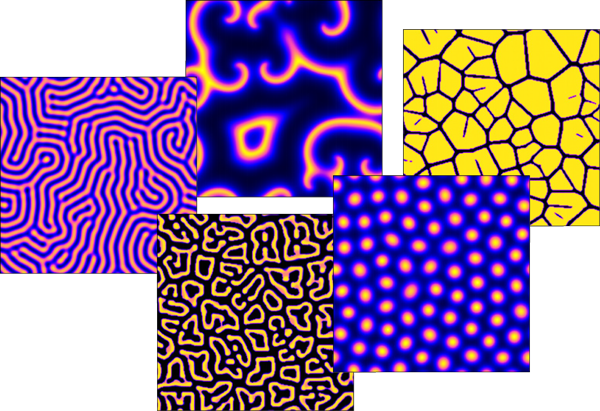 Stripes of zebra, convective rolls in fluids, target or spiral waves in complex chemical systems,… Regular spatiotemporal structures are ubiquitous in nature. They commonly arise in non-equilibrium systems, in which non-linear effects are predominant. In this course, we present basic methods used to study the condition of appearance, the morphology and the features of these structures. It includes linear stability analysis, perturbation method, and amplitude equations formalism. Pattern Formation and Dynamics in Nonequilibrium Systems, M. Cross & H. Greenside, Cambridge University Press.